A tricked-out trailer serving up classics including hot dogs, drinks, and snacks. This location has a super-cool lineup of soft-serve, floats and fan favorite, frozen lemonade! 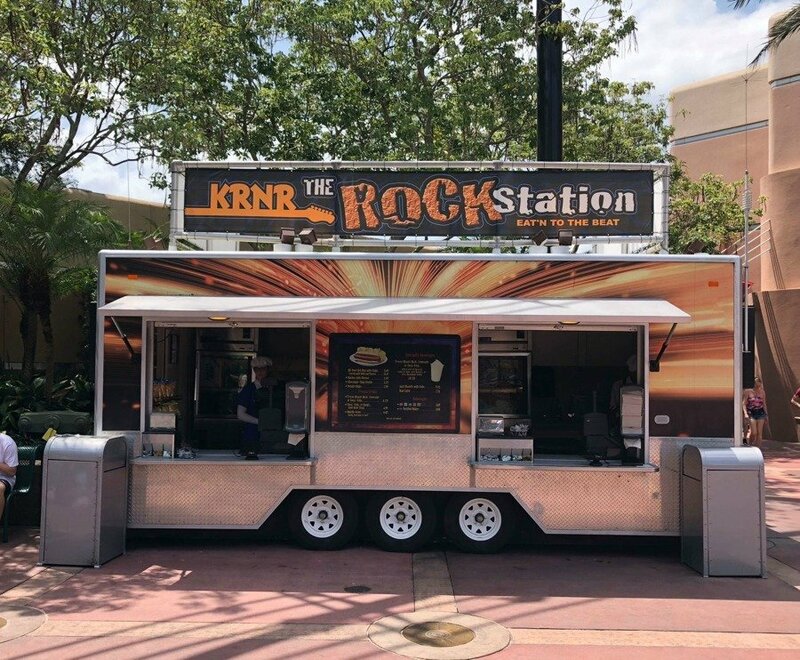 There are currently 0 reviews for KRNR The Rock Station. Be The First To Review KRNR The Rock Station! Check out all of our Disney Restaurants threads over on DISboards.com! You can also search for KRNR The Rock Station specific threads! All menu items/prices are subject to change. Last updated 03/12/2019.